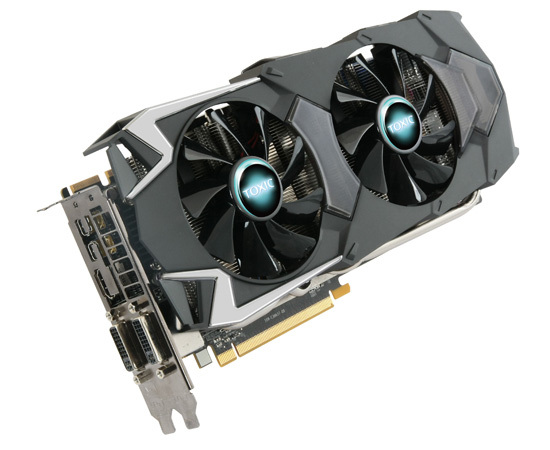 Sapphire is said to be working on a second variant of its HD 7970 Toxic 6G graphics card which would benefit from the recently released Tahiti XT2 (HD 7970GHz) core. Being the first vendor to launch a 7970 GPU with 6GB memory, Sapphire would now launch a revision of the Toxic 7970 6G graphics card which would feature a core clock of 1100MHz up from 1GHz of the original Toxic 7970 model. Boost speed remains unknown at the moment. The massive 6GB GDDR5 memory would remain at the reference clock of 3000MHz running alongside a 384-bit wide interface. Display outputs and overall design would remain the same as the original Toxic 7970 GPU. We can’t say any thing about the launch date but looking at how the 7970 Toxic goes currently for € 622 we can suggest a price range of €600+ for the newer model. Also, BrightSideofNews reports that Sapphire would be giving away the new card in a competition on their facebook page, More on that here.